Insync Solution Limited takes CCTV (Closed Circuit Television) seriously which is why we established the Systems Division to handle CCTV, as well as electric access control systems and intercoms. While we have about 30 Security Advisors who design security system solutions for our customers, we have an elite group of those individuals that are certified to handle cameras. Building camera solutions that meet the needs of our customers require a security advisor who is highly trained, up to date with all the current technology and has immense attention to detail. 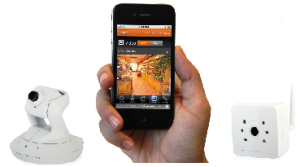 These cameras can be available as a single camera or sometimes bundled together with a DVR (Digital Video Recorder), wired or wireless and may even have remote access or a smart phone app available. These systems are normally provided together with instructions sheets for self-installation. The operational lifespan of these systems tends to be short as price point is a major factor and installations do not follow industry standards. The best part is that they are cheap and for many it is fun to have cameras as long as it wasn’t expensive. lifestyle security cameras are basically higher end consumer grade cameras that are specifically made to be joined together with your security alarm most often for residential situations. These cameras most often operate on your homes Wi-Fi network and tie together with your alarm system so that you can get clips and notifications immediately upon alarm events. They do not tend to record full-time but instead based on events such as alarms, during disarming or on event schedules. These systems include Remote Management Apps for viewing via your iPhone, iPad, Android, Blackberry or Windows Phone or any internet connected computer from anywhere in the world. These systems tend to require a monthly fee for storage out in the cloud and managed security control so that you do not have to depend solely on your own firewall abilities to keep outsiders from viewing your cameras. Insync Solutions does provide these solutions. The best part is that these cameras tie together with your security alarm system and allow you to look in whenever you want or get notified when something happens. This is what the Systems Division at Insync Solutions specializes in. 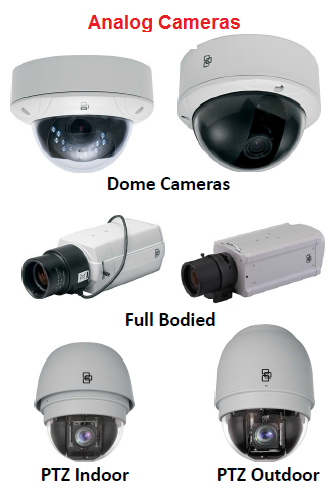 High quality CCTV solutions specifically chosen from thousands of products offerings to meet your specific needs. Nearly anything is possible, the key for us is for us to understand your needs and provide the right solution to ensure the camera solution provides you with ongoing reliability and the video evidence you require. Our Systems Division Security Advisors will come to the site or work together with you from blueprints and will be looking to answer a whole number of questions before designing your system and providing your quotation. Will the cameras be indoor or outdoor? Will the cameras need to be vandal resistant? Will you want to control the camera by panning and tilting manually? Will you need 180 degree or 360 degree views? How will we get power to the camera? Underground conduit? Fishing through walls? Tracking movement – example: are people exiting an entrance? Quantity tracking – how many people came in today? How many cars drove in? What Is The Best CCTV Solution For You? So many questions exist in trying to establish what is going to be the best solution for you. The attention to these details is what has made the Insync Solution Division team the trusted supplier for CCTV solutions for so many in BC. From businesses to fire departments, wineries to school boards, corner stores to government licensed grow operations, the experts in our Systems Division are highly trained and supported on how to best provide your CCTV solutions. 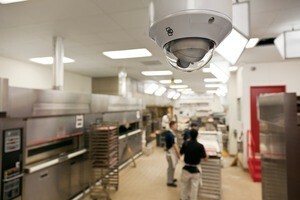 Should I use IP Cameras or Analog Cameras? If you currently have analog cameras on site and want to keep costs down, you are able to reuse the wiring there and stay with analog cameras. Otherwise, IP cameras are currently the best choice. Insync solution attends the ISC West Conference (the largest security conference in North America) each year to meet with suppliers and discover the latest and greatest in technology. 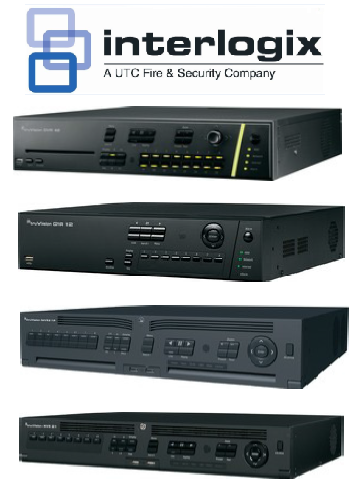 While we work together with many equipment providers, we do have a few companies that we regularly count on for reliable cameras, DVR’s, NVR’s, mounts and more. For instance, when choosing cameras for our clients we will often quote Interlogix cameras as they have a very wide catalog of solutions from wired to wireless, digital to analog, variable focus lenses, indoor and outdoor and even one of the most amazing 360 degree cameras we have ever seen. We also happen to be the largest provider of Interlogix products in all of Canada and are the only BC based “Security Pro” designated company serving British Columbia. This results in extremely competitive pricing for quality equipment that we can depend on to serve the needs of our customers for years to come.